We are having a warm, dry fall here in my small corner of Iowa this year. Dust and leaves blow across the fields even when no one is busy harvesting. 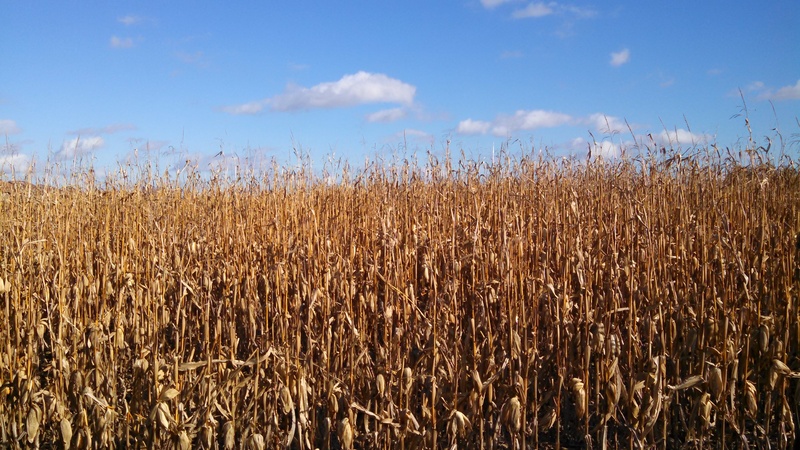 Harvest of course makes more dust as the cut corn or beans spread their smells across our yards. For a few weeks tractors and combines own our roads as they travel from farm to farm. Behemoths, they hold us urban drivers at bay steaming in our misplaced need to hurry life along. Fall’s cooler mornings remind me winter is indeed on its way. I itch to leave my summer muesli breakfast behind for hot, steaming bowls of oatmeal covered in maple syrup and topped with tart farm apples dusted in cinnamon. Like most people now, I often use my microwave speeding the process along. My real day, of course, begins after breakfast is over don’t you know. But when I have the inclination or need the slowness of the process, I return once again to a pot over the fire. Oatmeal seems ancient to me, something I am genetically predisposed to and embedded in my DNA. 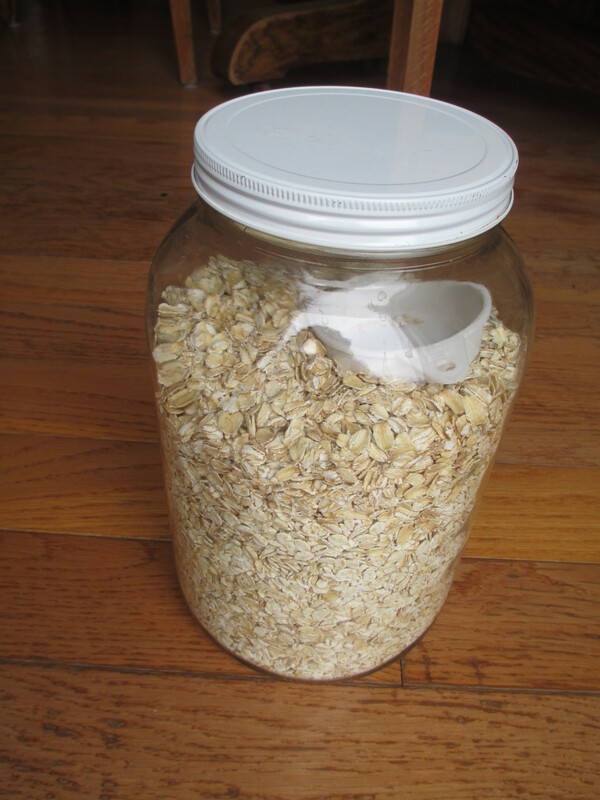 Years ago I learned to soak old fashioned oats a bit before stirring them gently in a pot over my stove fire ever careful of a possible bubble over. The process of creating a bowl of this steamy stuff feels more like an inherited ritual to me. I imagine my mother, her mother, and the mother before her also stirring pots of porridge over their stoves–electric, gas, wood, or coal– many a morning once upon a time. Eating oatmeal is old in my lineage. But it’s predecessors, gruel and porridge, are ancient. For my ancestors such a meal was the most common of daily fares. Gruel is “liquid food made from meal”. At least that’s what Skeat’s Etymological Dictionary tells me. The word gruel is related to grout which is a course meal, its plural being grounds and also to groat which is hulled grain. Gruel in Danish is gröd meaning “boiled grouts” .The Swedish word is gröt meaning “thick pap” and the Norwegian word is similar, grøt. While the grain for gruel or porridge can be oats, corn, or wheat, in the Scandinavian countries, barley was often the grain of choice for my ancestors. 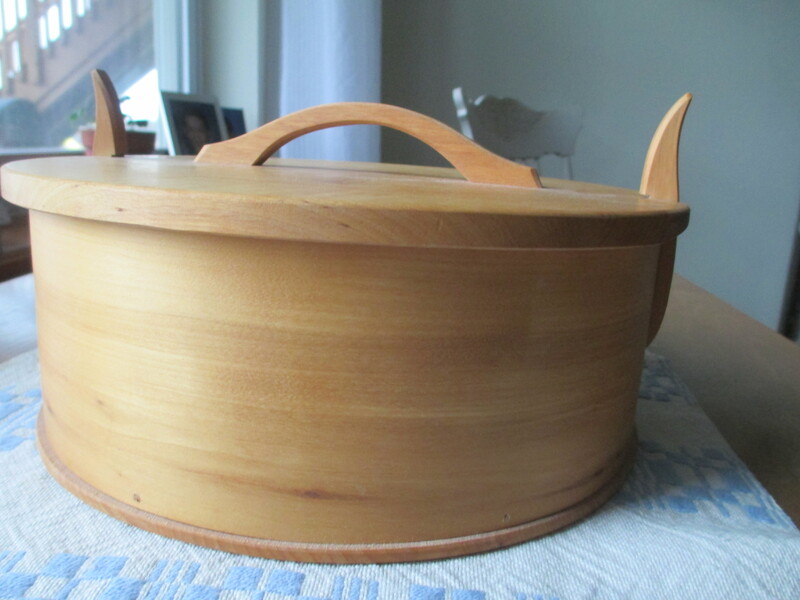 In the region of Sweden my ancestors hail from, Västergötland, a pot of porridge was on the table for every meal. So common and necessary was gruel to the Northern people that it made the journey from one land to the next. In 1838, Norwegian Ole Rynning advised his fellow countrymen “that barley gruel flavored with wine is frequently strengthening and helpful” on the sea journey to the new world. Many of us with ties to Scandinavian Minnesota grew up eating at least a few of our morning meals of oats or cereal under the praying hands of Eric Enstrom’s photo “Grace”–an older man giving thanks for his daily bread and bowl of gruel. My maternal grandmother placed a copy of this photo over her kitchen table reminding us all of a simple and austere past spanning the old country with the new. 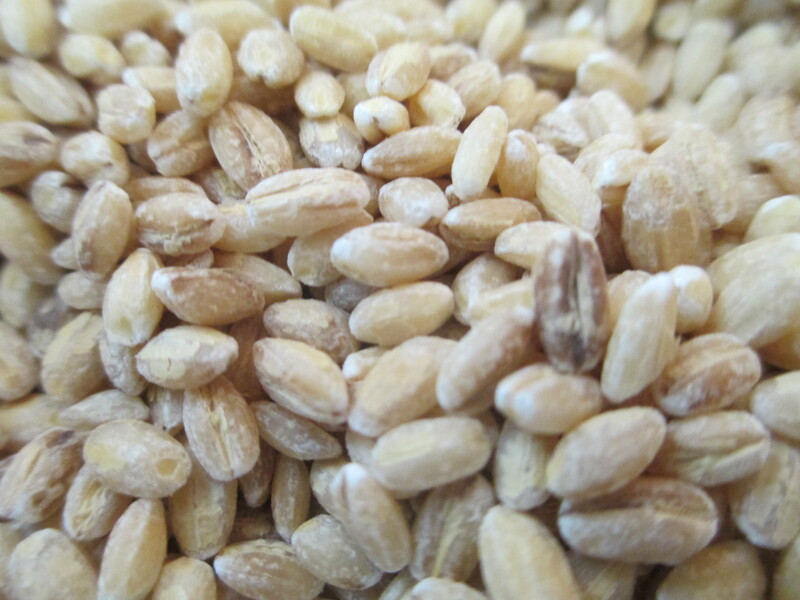 Ground oat groats milled in the old water mill way sometimes called Scottish Oats. Rolled grains, like my morning oatmeal or even our modern cereal, are a relatively new technology. 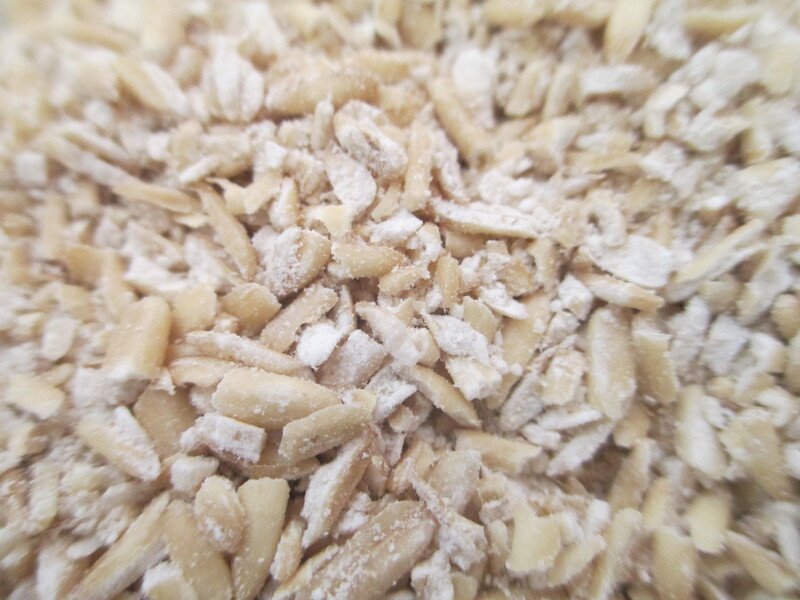 Oat groats are steamed and then rolled into flakes. Before the invention of the “roller” in 1877 by the Quaker Oats Company, the best a peasant woman might do was to begin with hulled grain (groats). If possible, the grain was ground at a local water mill called a skvaltkvarn in Sweden. But if not, the hulled grain was soaked overnight and cooked for a few hours over the fire. In Sweden, women used a three-legged cast iron pot for gröt which was placed in the open fireplace to cook. 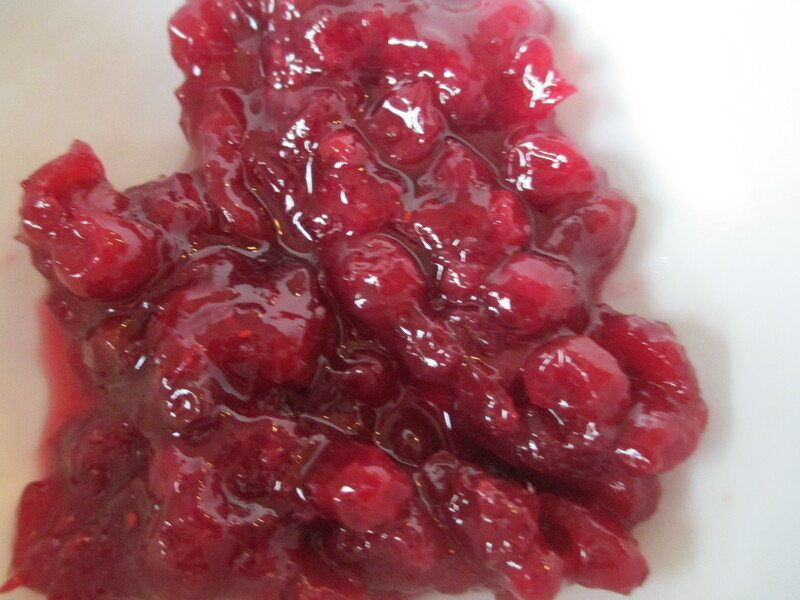 The grain was moistened by water and served with maybe a little butter, sour milk, and sweetened with lingon, a tart, wild berry similar to cranberries. The dish does not seem dependent on milk or butter however. Cows, if a peasant family had them, stopped producing milk in late winter/early spring since feeding cattle all winter was often difficult. To this day many people cook their modern day gruel in water some topping it off with milk and others not. I vaguely remember I scene in the movie Babette’s Feast in which the sisters make a cousin to porridge. It’s called something like ale bread soup and is made out of dried bread. 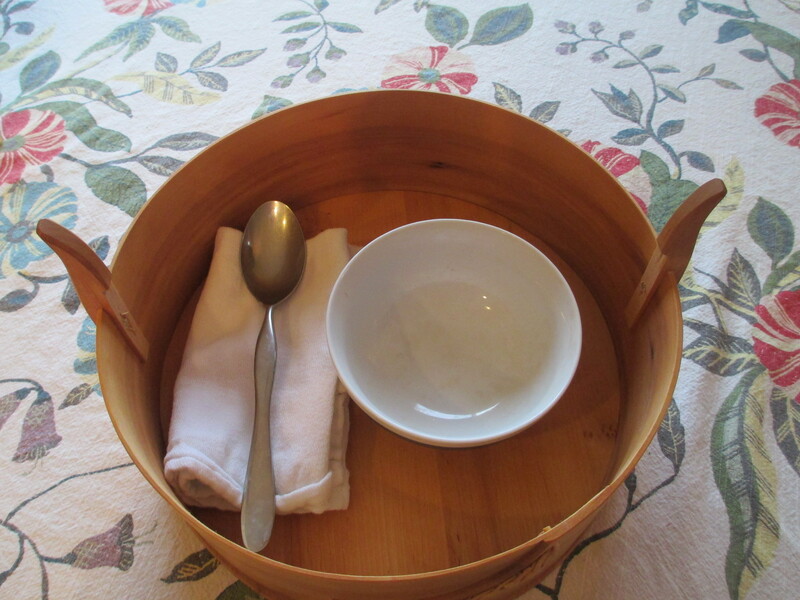 The sisters carry bowls of this porridge soup to their ailing neighbors in wooden boxes. I’m sure these boxes made of bentwood had many uses. But carrying porridge seems to be one of them. Centergran, Ulla and Martenius, Ingela. A Few Notes on Traditional Swedish Food. Accessed on March 23, 2015 at web.comhem.se. Peters, Charles (ed). The Girl’s Own Indoor Book, pages 405-411. Published by The Religious Tract Society in 1888. I found it at https://books.google.com/books/about/The_girl_s_own_indoor_book_ed_by_C_Peter.html?id=-WIVAAAAQAAJ on October 22, 2015. Learn all about grains at http://blog.bobsredmill.com/featured-articles/steel-cut-rolled-instant-scottish/ accessed on October 22, 2015. Rynning, Ole. Ole Rynning’s True Account of America. First published in 1838. Now available at http://collections.mnhs.org/MNHistoryMagazine/articles/2/v02i04p220-269.pdf. Accessed on October 26, 2015. Johnson, Dennis L. The shot seen ‘round the world: The story of a famous picture. In Swedish American Genealogist. Volume 34. December 2014. Published by the Swenson Swedish Immigration Research Center, Augustana College, Rock Island, Illinois.